1) Login to your website account. Step 2) Click on the All-In-One website link and then click on the blue button reading 'Edit Website'. 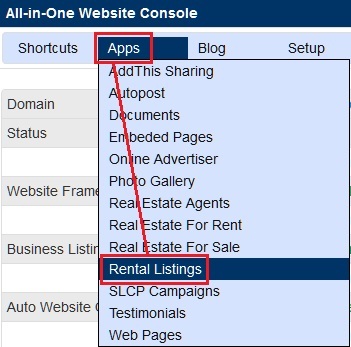 Step 3) Click on 'Apps' near the top and then click on the 'Rental Listings' link. Step 4) Click the 'Add a Listing' button near the top. 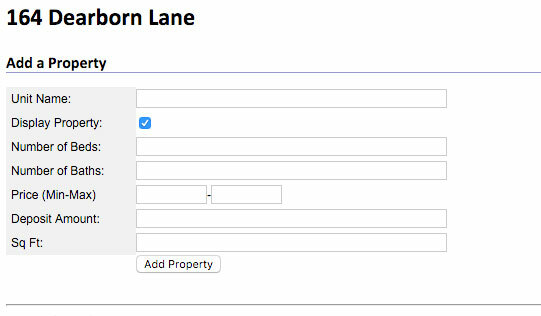 Step 5) Fill out the fields as necessary to match your property. Step 6) Continue filling out the form providing the renter's contact information here. This information does not appear on the website. You DO NOT need to fill this part out. 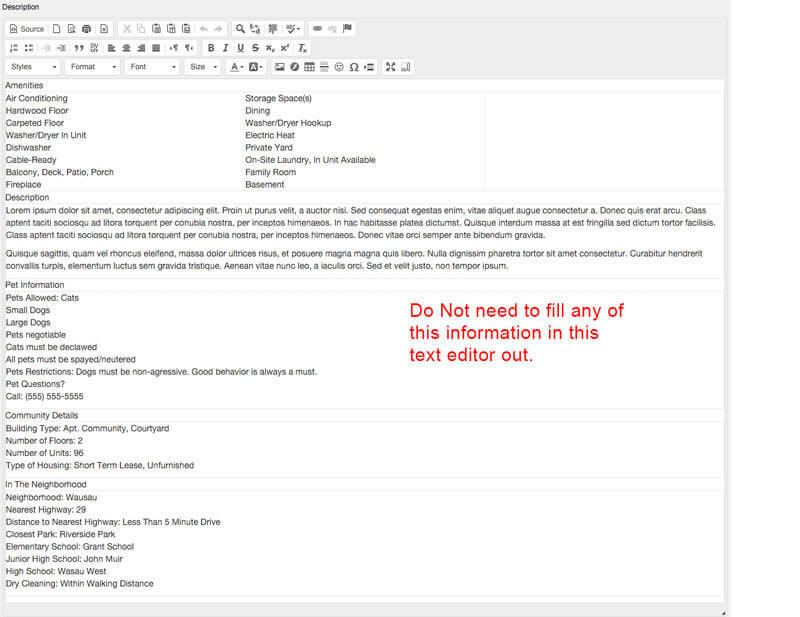 Step 8) Continue filling out the form providing keywords and descriptions for the listing and then click on 'Create Listing'. 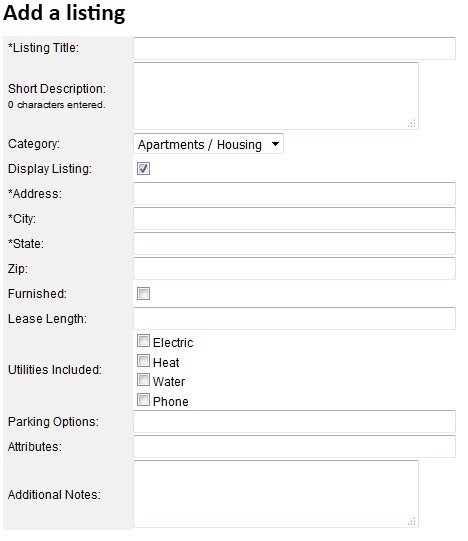 Step 11) Fill out any property listing information you need. Not all of the information is needed to add the listing. Just Bed, Bath, Price (Your set price is fine you don't have to add both Min and Max).